After a seemingly extra-long winter, its time to celebrate the return of riding season, warmer weather and the good work of some local heroes. 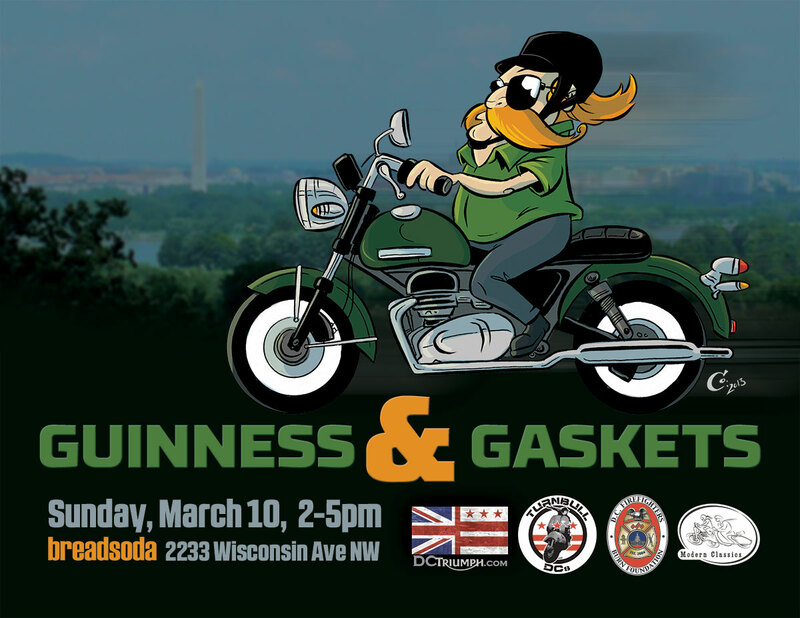 Join us for the first annual Guinness & Gaskets on March 10, 2013. Meet up with us at Breadsoda for some Guinness and other goodies. Have a brew and learn how to keep your carbs in working order. Wellesley Scott from Modern Classics will be on hand to teach some basic carburetor maintenance. Don’t worry – even if you’re running EFI, we’ll find answers for your garage questions. And about those local heroes. We’re teaming us with the DC Firefighters Burn Foundation to help raise money for their worthy cause. The vision of the D.C. Firefighters Burn Foundation is to reduce burn injuries in the National Capitol Region by providing and supporting comprehensive and accessible information on burn prevention and education. In addition, our vision is to ensure that all burn survivors and their families receive the best medical care possible, and are offered the highest level of support, both during and after treatment. 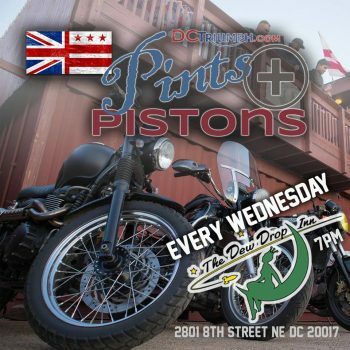 And our scooter riding friends from the DC Turnbulls will be there to party with us as well. We look forward to seeing you at Breadsoda… Keep tabs on this event here on Facebook and be sure to invite your friends.